This production, graced with good singers and stage direction, meets a need, which for many years has been overlooked by the Dutch National Opera. The Merry Widow by Franz Lehár (1870 - 1948) is a timeless and universal operetta, a story of state bankruptcy, human deficiencies and weaknesses. The work, which was first performed in 1905, should not be smothered in modernizations and psychologizing additions, as of late is in vogue by many theater directors. Marc Krone has been ever so aware of this since it is reflected in his is near to perfect staging of The Merry Widow. 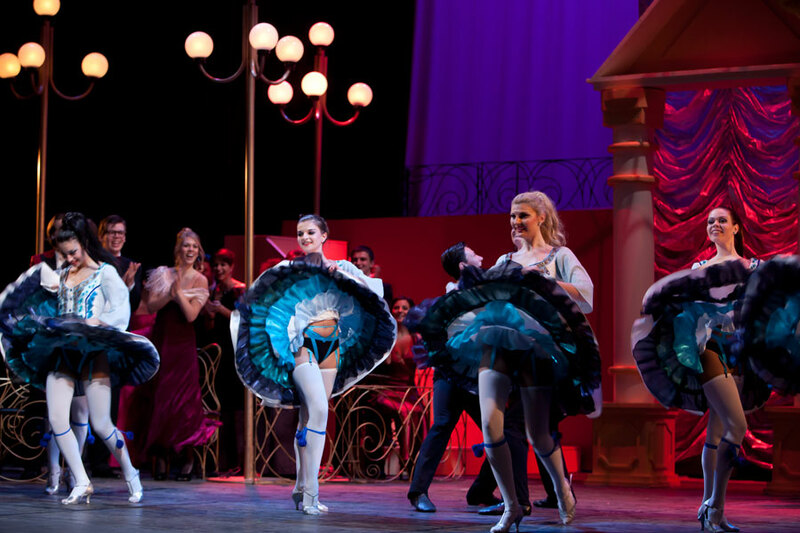 With this Merry Widow International Opera Productions takes the audience back to the times of the Hoofdstad Operette. The production is entertaining and the singers are excellent. The Dutch baritone Quirijn Lang is the star of the evening, exquisitely mastering the whole range of the difficult part of Danilo. His entrance ‘O Vaterland!’ with the high G's is as solid as a rock. Superb are his beautiful, long lines in ‘Who that Blumen im Lenze erblüh'n’, his velvet sound in ‘Geigen erklingen, lock so süss’, his anger in ‘Verlieb 'dich oft, verlob' dich selten, Heirate nie!’ As well as his drawn out ‘Lips schweigen’. And did he really cry at ‘Es waren zwei Königskinder’? If not, then it was acted superbly! Dutch soprano Wilma Bierens plays a fine Hanna and her 'Vilja song' was rarely heard so hushed. 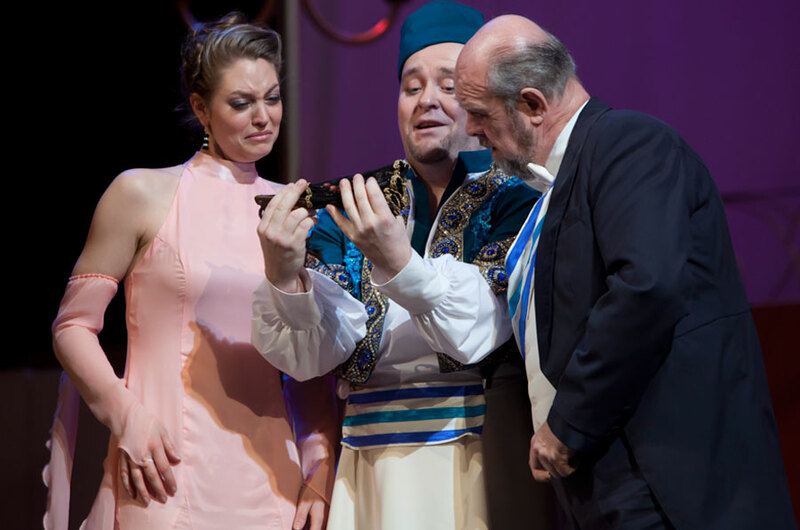 The Dutch soprano Donij van Doorn sings the role of Valencienne, and she is a real talent. 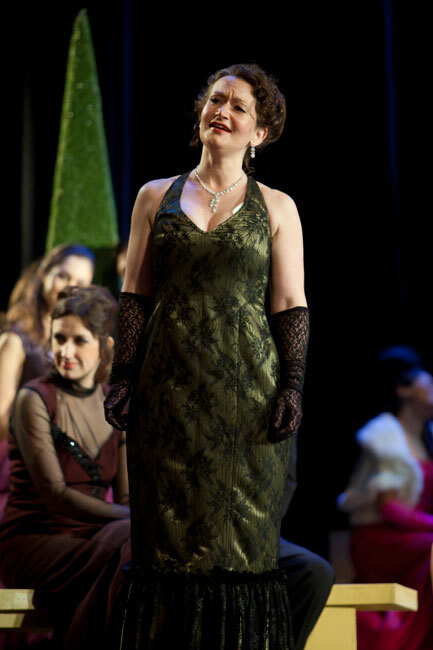 Her lyric soprano is a promise for the future, if she doesn't broaden her voice too much in the upper register. 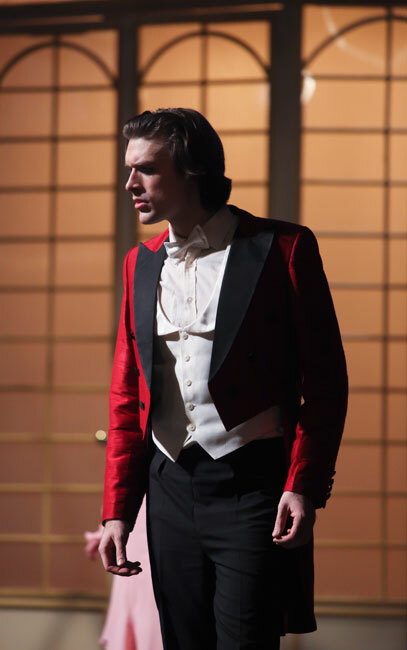 Another promise is the Polish tenor Pawel Grzegorz Stach. He will undoubtedly have a glittering career, as in his voice one hears the promise of a real Wagner tenor. His romance ‘Wie eine Rosenknospe’ shines in a way rarely heard. 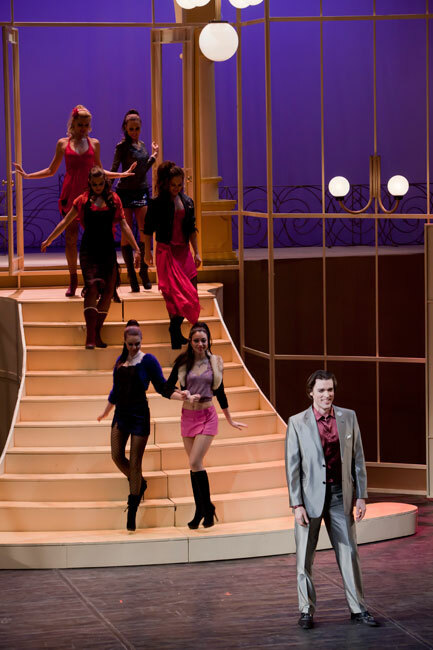 The Dutch tenor Bert Simhoffer brings his Hoofdstad Operette experience, where he sang for over ten years. 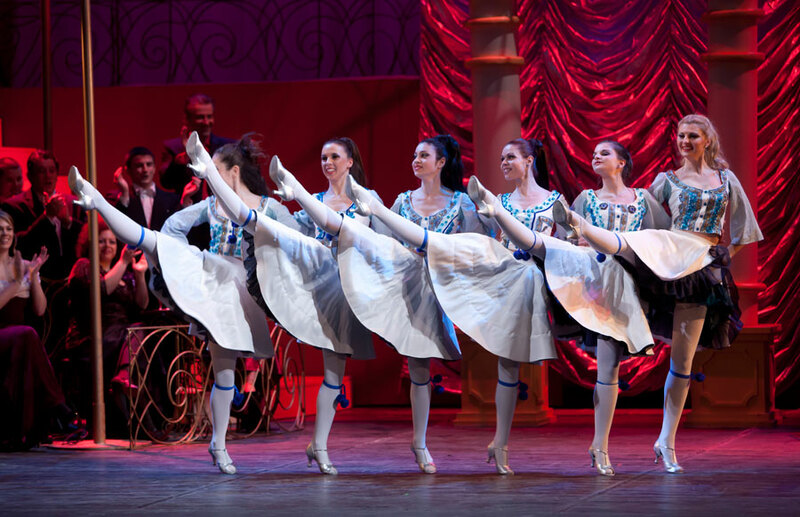 He shows how important Zeta is for The Merry Widow. 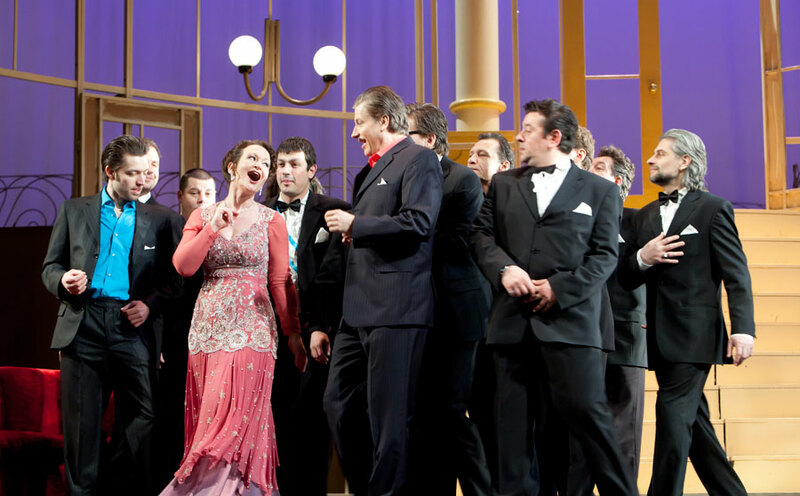 It's good to hear great singing in this Merry Widow because that's what this operetta is all about. 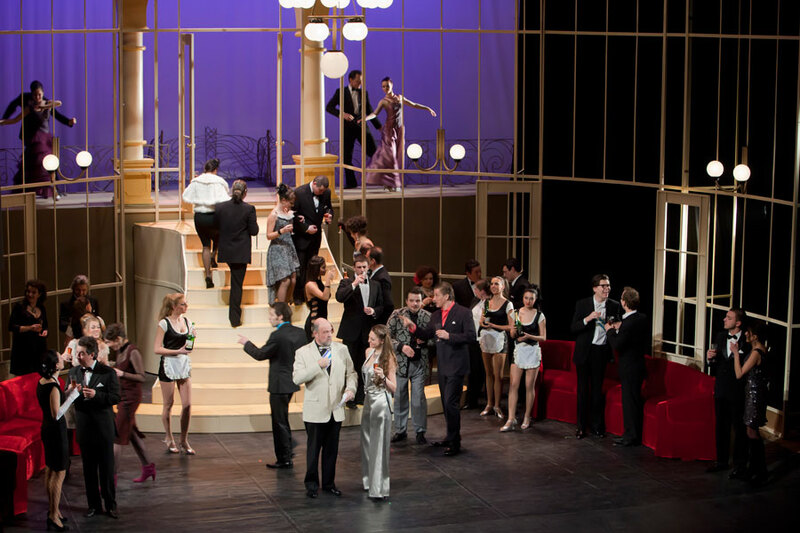 Therefore, it would be a good idea for The Dutch National Opera take to The Merry Widow back on the repertoire because that's what the DNO public has asked for in vain, for over 25 years. 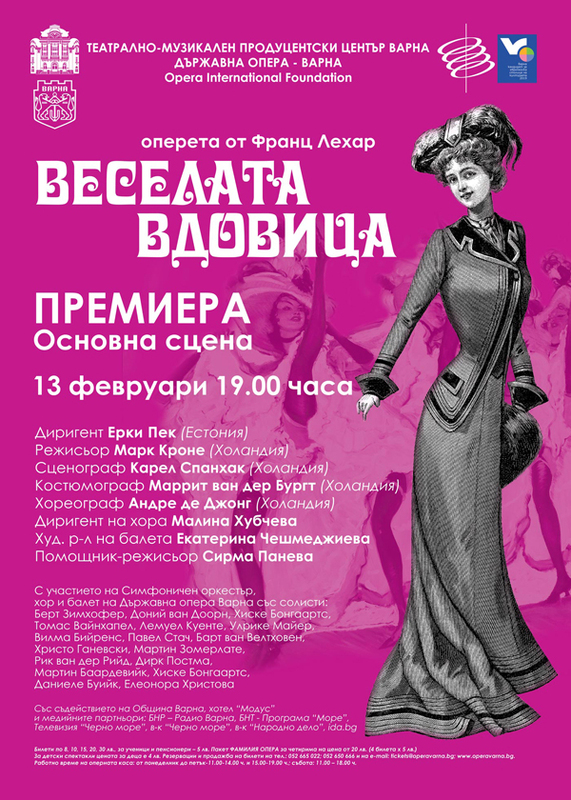 In the light of this, International Opera Productions had to be praised even more for this excellent production. Go and see this show when Quirijn de Lang sings the lead! Click in the picture to enlarge, use spacebar for next photo.